I have made this poster for the awesome crew from We are Salzburg. 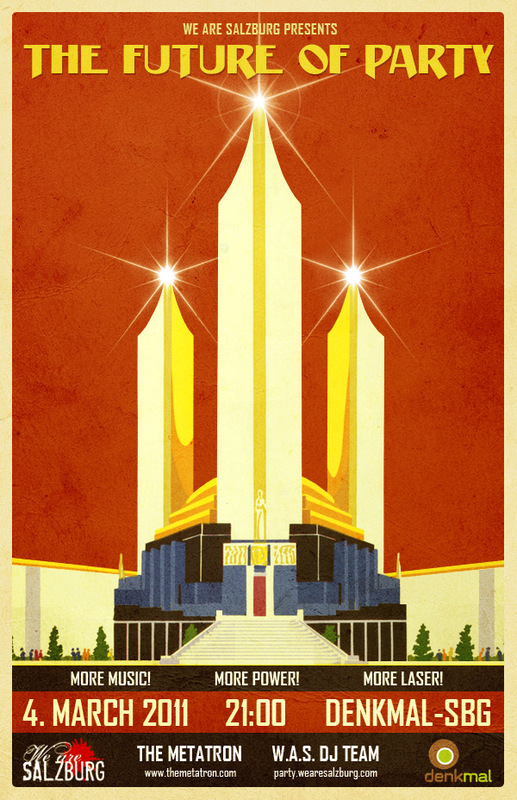 The design is based on the poster for the Chicago World’s Fair – A Century of Progress Expo from 1933. The original flyer and homepage design for the party was made by Sebastian König and Arne Müseler. Their design was mainly based on the bookcover “The World of the Future – Future Cities” by Kenneth Gatland & David Jefferis, published 1979. If you like this style, don’t miss my upcoming post Retro Futurism about Klaus Bürgle, Erik Theodor Lässig, Kurt Röschl and a lot of other amazing retro-futuristic Illustrators! Hi Dear, are you actually visiting this web site regularly, if so after that you will definitely obtain good experience.